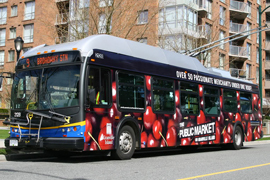 Circulating in the busiest areas of major metropolitan cities, bus advertising offers exposure to local commuters, drivers and pedestrians. These ‘moving billboards’ are typically displayed on the bus exterior and come in a variety of sizes and high-impact formats to reach your audience. 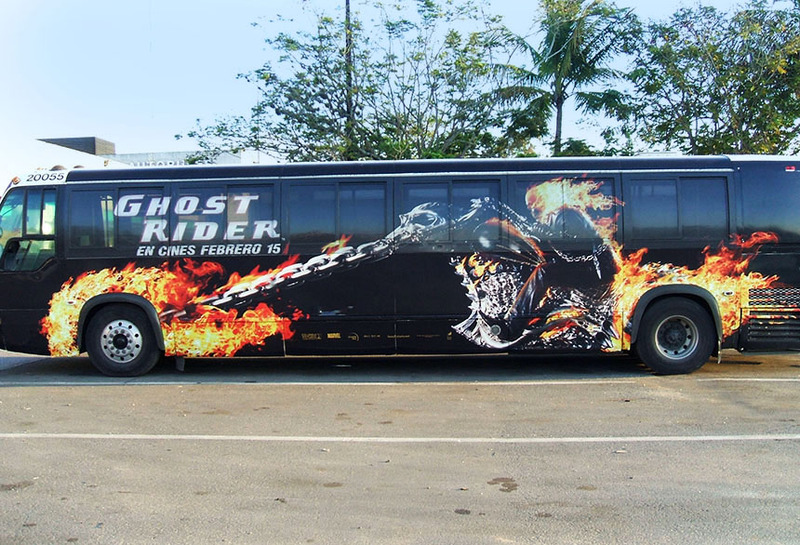 Wrap the entire Bus with your ad to make a dramatic impact in major metropolitan areas. 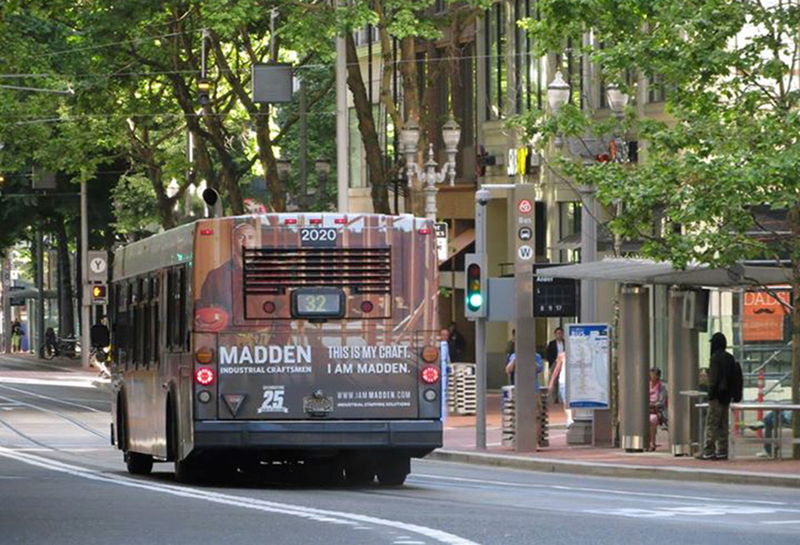 Bus ads move throughout residential and core business areas, delivering your message throughout the marketplace all day, every day. 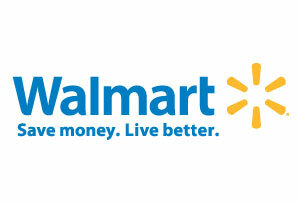 This continuity builds familiarity with your brand, so customers will think of you when making purchasing decisions. 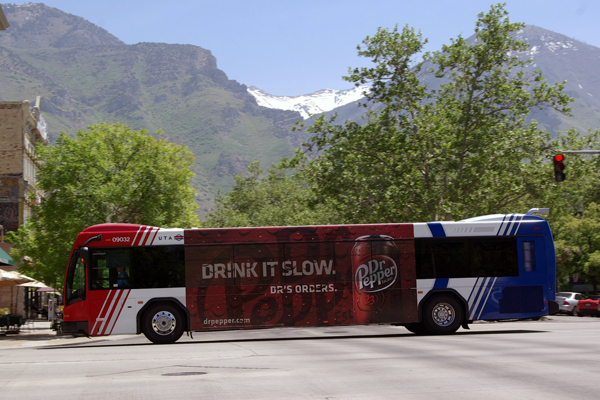 Bus ads are great for branding campaigns, which typically run for at least one year. 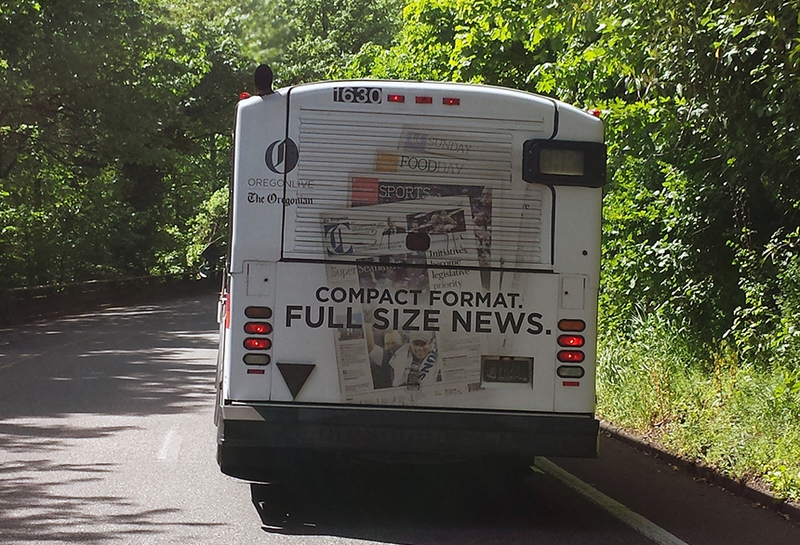 Use a high quantity of smaller Bus ads to saturate the market in a short amount of time. 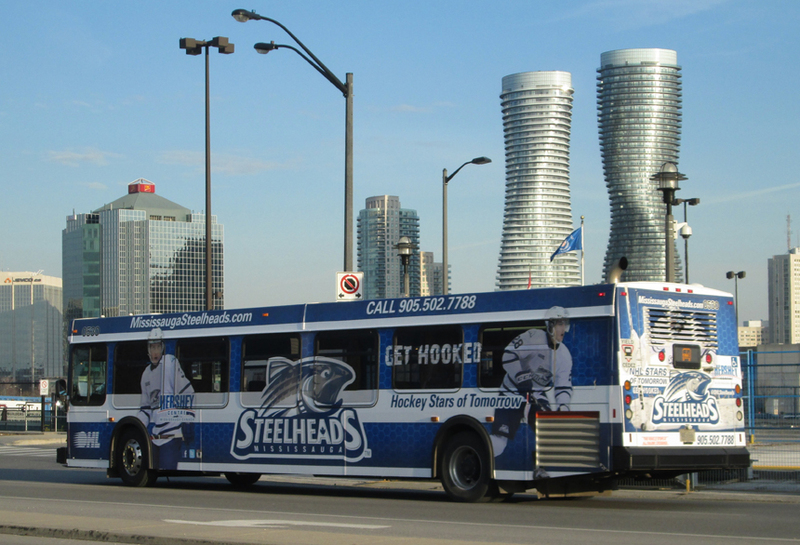 Bus ads are highly effective for announcing new products, seasonal specials or the 'call to action' that consumers should take advantage of within a set period of time (typically 3 to 6 months). 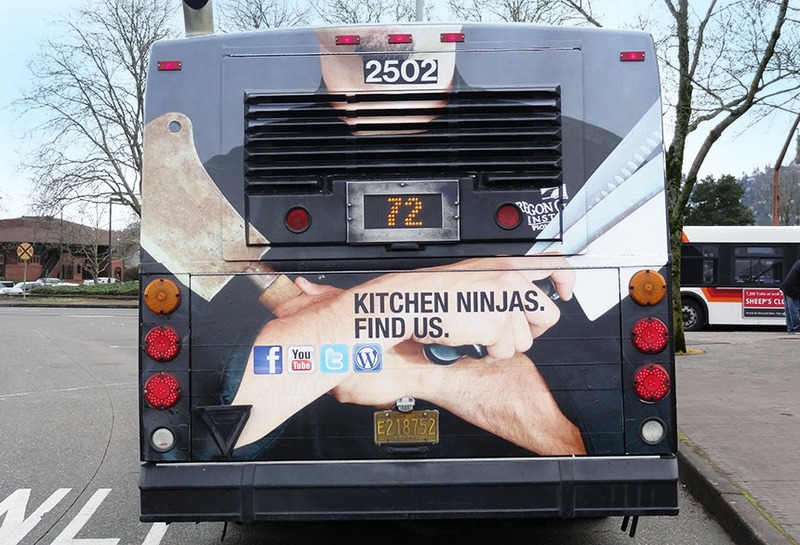 Bus ads capture consumers’ attention so they act upon a particular promotion immediately. 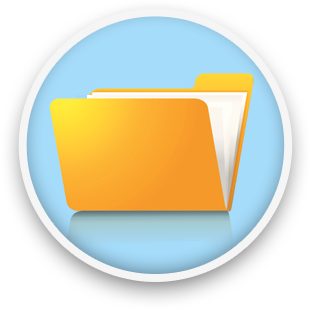 Smaller formats are less expensive to produce, so you can flood the market with your ads. 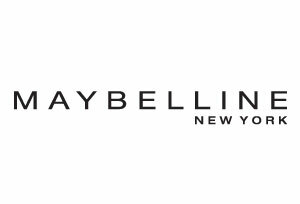 This established retailer educated their consumers about its expanded offerings with strategic messaging near the point of purchase to remain top-of-mind. 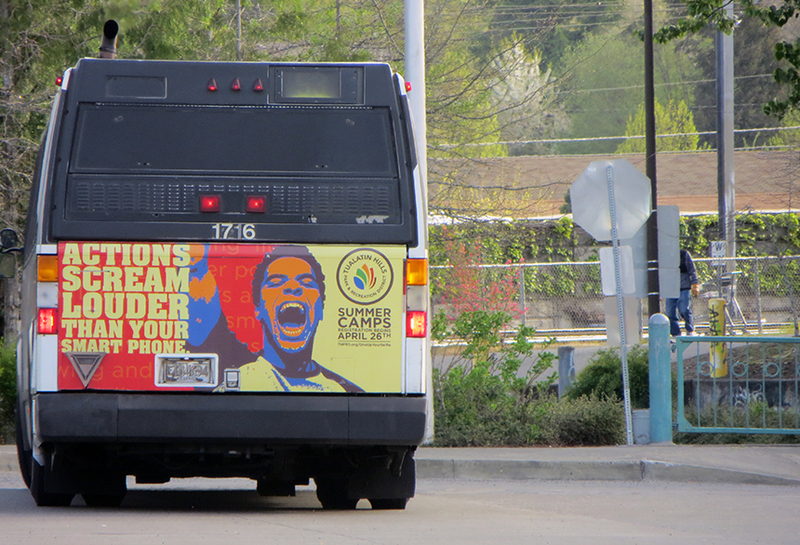 "I am amazed at the effectiveness of Lamar Transit’s advertising and creativity with bus wraps. They have helped us with branding our name by providing a creative and effective way to advertise our company on a daily basis." 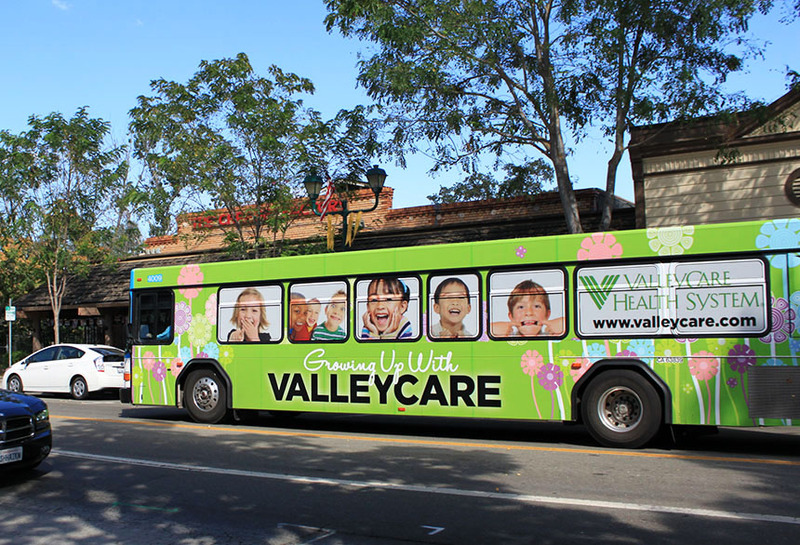 "The use of bus advertising allows us to have a message that goes throughout our community and also allows us to have exposure to people that may not have seen our on-line or print messages." 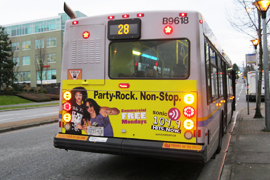 "Response from advertising on the buses was so overwhelming that we could not keep up with the volume of callers. 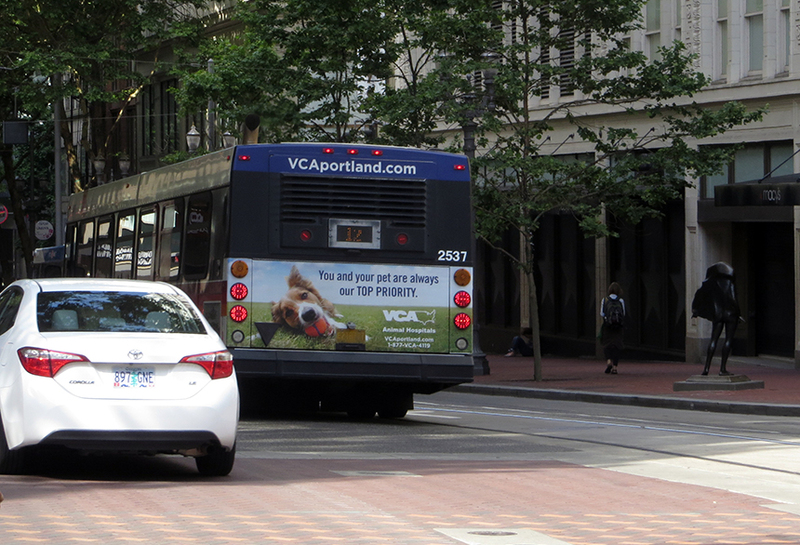 Our response has been much stronger than we anticipated and we are looking forward to using transit advertising in other cities. 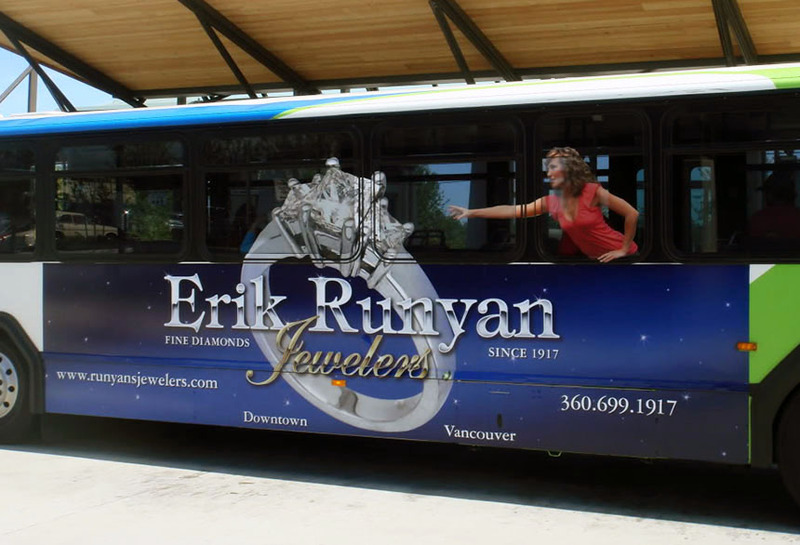 Transit advertising is a winner!" 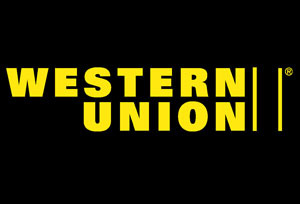 "The bank saw the need to create a new image, a buzz and name recognition. The current campaign has been a success. It has brought attention to Columbia Bank and people recognize that we are in town and intend to become a major player." 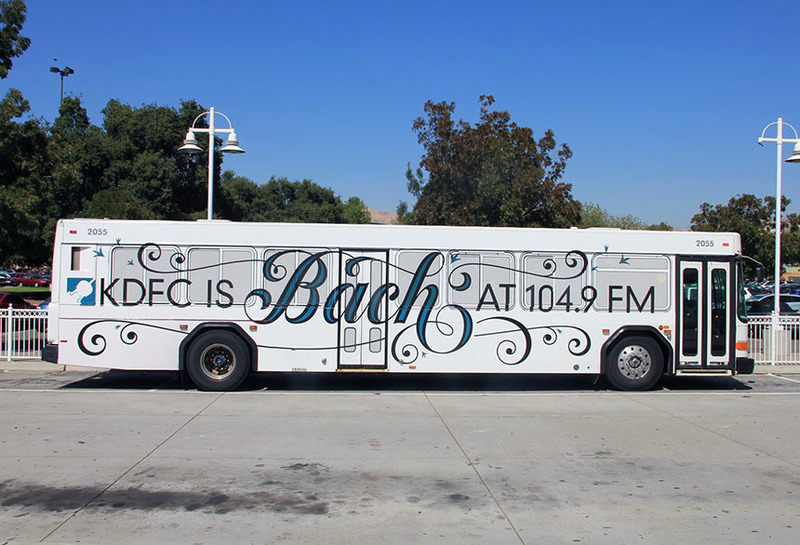 "The buses provided excellent visibility and a constant presence in the market, and the impact from the ads surpassed any experience I’ve had with radio, TV, or print. 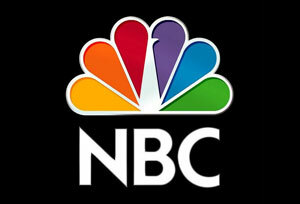 Our sales since beginning the advertising program have skyrocketed!" 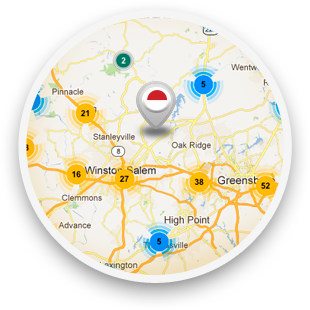 "In 2 ½ months, I had over 500 customers mention they had seen the Coolatta bus ad. The bus ads have been the most successful form of advertising for me. Because they’re always moving around, they get the Dunkin’ Donuts name out and remind people that I’m here. " "We used buses to help reach motorists in their cars, to drive traffic to our BP stations, and to increase sales for our BP Visa Card. The campaign achieved all this and more. " 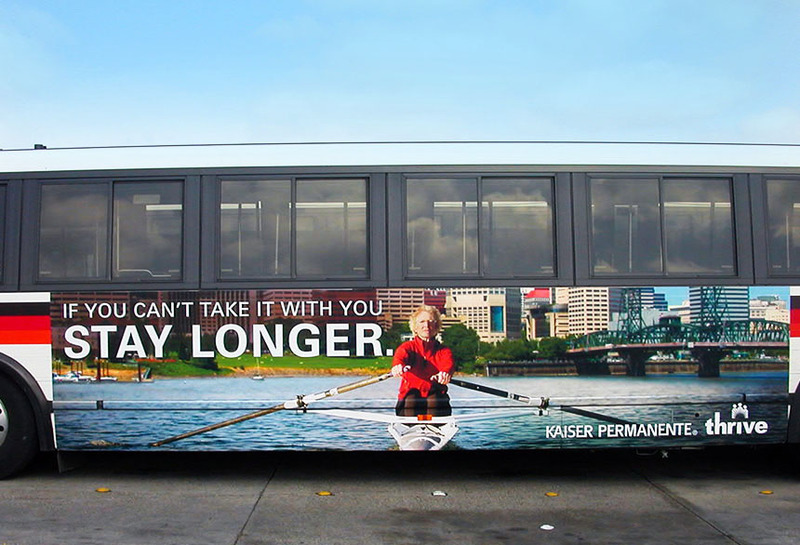 "I put an ad on six buses, and over the next three months, every single person I knew said they saw the ad. Never before have I had this happen with any kind of advertising. The price is reasonable, the results were great, and the service was fantastic! 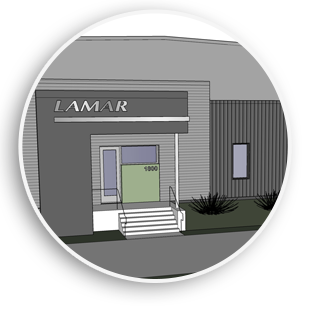 Well done, Lamar!" CEO, Aloyd Fitness Equipment Ltd.